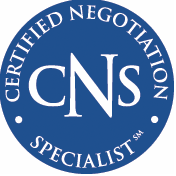 Certified Negotiation Specialist. Getting a home deal. Find a home deal. Foreclosure deals. Short sales. Pros and Cons. the Value of Real Estate Transactions and Help YOU Attain Your Goals. Chances of You Meeting Your Goals. You Can Get on Track for A Successful Closing!